We love farmers markets. They are a great way for small farmers to sell their products and earn a sustainable living. They are a place for a community to gather and meet the people who grow their food. 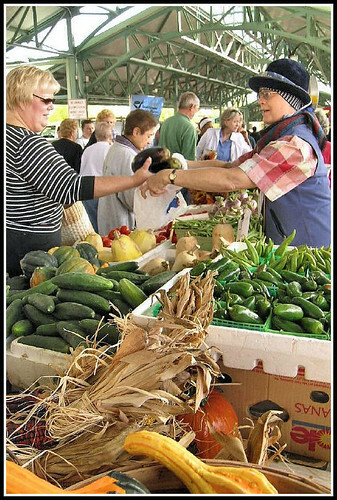 And of course we love the fresh vegetables, humanely raised meat, and local fruit available through these markets. The American Farmland Trust, a great organization that helps preserve America's agricultural landscape, is hosting a contest to pick "America's Favorite Farmers Markets." Visit their site and make sure that your favorite market gets a vote!